Stacey Solomon has been Caught Smoking whilst Pregnant. With the Cost of Smoking to the NHS at an Estimated £5.2 Billion in 2005/06 (Statistics on Smoking: England, 2011), Many People Turn to Private Health Insurance for Better Facilities. Everybody knows at least one person who has vowed to quit smoking and has tried a multitude of treatments and tactics, but still never manages to fully kick the cancer causing habit. Stacey Solomon has recently been in the middle of controversy as she was photographed smoking four times in two hours whilst 7 months pregnant with her second child. As well as pictures of Stacey Solomon smoking, other celebrities have been caught by photographers with a cigarette in hand. There have been pictures of high profile celebrities, often idolised by teenagers, such as Robert Pattinson, Britney Spears, Lindsay Lohan, and Tulisa smoking. The Statistics on Smoking: England, 2011 give an insight into how many smokers struggle with quitting the habit for good. In the 2008/09 Omnibus survey, it was revealed that two thirds of current smokers wanted to give up smoking, with three quarters of current smokers having attempted to give it up in the past. Out of those who had tried to give up in the past year, one fifth had reported making three or more attempts to ditch the cigarettes. The statistics also show that 5% of hospital admissions in 2009/10 can be attributed to smoking, and one fifth of deaths of people in England over the age of 35 are due to smoking. In 2010/11, £84.3 million was spent on the NHS Stop Smoking Service and an estimated £5.2 billon was spent on treating illnesses and diseases associated with smoking in 2005/06. With figures like these along with binge drinking and obesity, it is no wonder that the NHS is feeling the financial strain of the modern lifestyle. These accumulating strains on the NHS are often held accountable for the increase in waiting times and lack of new facilities. This is why many people in Britain have chosen to take out a private health insurance, for either themselves or their family. By taking out a private health insurance policy, patients are able to receive prompt treatment, often from a private room - quite different to a busy NHS ward. However, when purchasing private health insurance, it is important to go through an independent health insurance broker, as they often have access to exclusive offers. 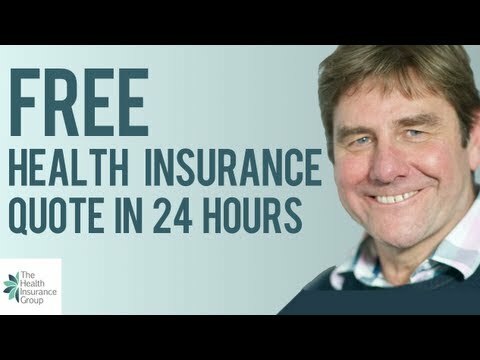 Howard Holt Health Insurance has released a video on YouTube to explain what there is to gain by going through an independent broker.To get a free private health insurance quote from Howard Holt Health Insurance, visit http://healthinsurancequoteuk.org.